What is Daylight Saving Time, When does clocks changes in 2019 in USA, Canada, UK, Europe, etc. DST 2019 Start and End dates with fun facts. A day when people of most countries and states across the world set their clocks one hour a head of the standard time. The practice was first introduced in Europe during the First World War. The idea was to take advantage of the longest summer days by gaining an extra hour of daylight and shortening the days in winter. It was not a new concept, back in 1784 American inventor and politician Benjamin Franklin suggested that starting the day earlier in summer will save a considerable number of candles. Those in favor of practice same today's energy consuming society the environmental benefits links to changing a clock on considerable or of a small amount of electricity as save per household added up they can be significant. Many countries change their clock twice a year to observe day light saving time. 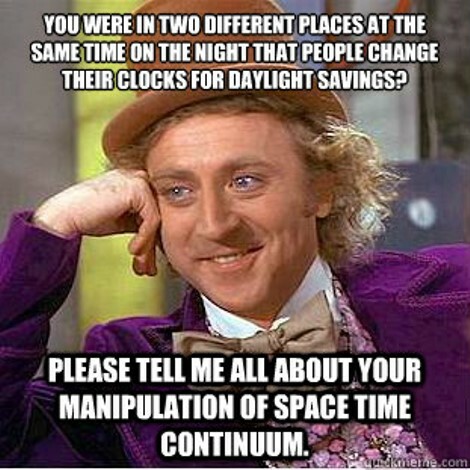 The date of Daylight Savings Time Starts and Ends may vary with year to year and also depends on location. In United States DST starts on the second Sunday of March at 01:00 AM by setting clocks ahead to 02:00 AM. And it ends on the first Sunday of November at 02:00 AM by setting clocks back to 01:00 AM. DST 2019 will begin on 10th March 2019 and will end on 3rd November. In Europe DST starts on March's last Sunday (31st March 2019) at 02:00 AM and, clocks sets one hour backward at 02:00 AM on October's last Sunday (27th October 2019). The idea of DST was first introduced in 1784 by Benjamin Franklin. In 1916, Germany and its allies were the first countries to use DST. Out of 196 countries in the world only 70 countries observe DST. Arizona (except some areas) and Hawaii, and, American Samoa, Guam, Puerto Rico and, Virgin Islands are the only States and Territories of United States that don't observe DST, respectively. On 31st October 2007 in a Press Release, Western Power researched and reported despite of saving DST caused "a 0.6% increase in electricity consumption in WA's main grid". PR also stated that "The daylight saving research showed slightly less power was used on days when the temperature went below 30 degrees, and slightly more power when the temperatures went above 30 degrees".